So you’re an Australian heading overseas on holiday? Maybe your plan is to chill on a secluded island in the Pacific. Maybe you’re hiking through the Himalayas. Or maybe the dance clubs of Berlin are more your style. Whatever your itinerary, we’re going to be jealous. 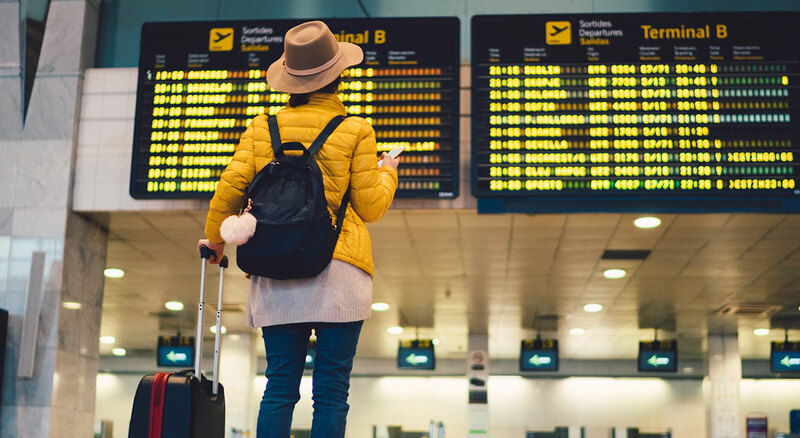 Since we can’t come with you (this time), we’ve put together a few tips for travelling overseas with your medicines. The world is a big and diverse place—that’s one of the reasons why we travel. But keep in mind that different countries have different rules for medicines. Some medicines that are legally available in Australia are not allowed in other countries. For example, you should be careful if you need to travel with prescription painkillers, including those containing codeine. It’s a good idea to speak with your doctor or a travel medicine specialist before you go. You should discuss the medicines that you need to take with you, including any over-the-counter or complementary medicines. If you have any doubts about what you can take to your destination, you should ask the embassy or consulate of the country you are visiting. Anyone who has wandered the aisles of an overseas supermarket knows that the products on offer can be very different to those in Australia. The same can be true of medicines. It may be difficult to get your medicine overseas for various reasons. For example, your prescription might not be valid, or your medicine might be restricted or unavailable. Your best option is take enough of your medicine for your whole trip (plus a little extra should you encounter any pesky delays). Passport? Check. Tickets? Check. Letter from your doctor? …. A letter from your doctor helps you to show customs and security officials that you are carrying medicines for your personal use. The Australian Government subsidises the cost of many prescription medicines as part of the Pharmaceutical Benefits Scheme (PBS). It is illegal to take PBS medicines out of Australia, except if they are for your personal use (or the personal use of someone travelling in your care). Your doctor’s letter should say the names of your medicines and how much of each you use. It should also say that the medicines are for your personal use. A handy letter template is available from the Department of Human Services page on travelling overseas with PBS medicine. Even if you pride yourself on packing light, avoid the temptation to save a few grams by discarding your medicine packaging. The medicine box or bottle helps customs and security officials to identify the medicines you are carrying. By all means, cull that extra pair of underwear if you want, but make sure you keep your medicine packaging. Have you ever found yourself waiting at the baggage carousel only to find your bag is lost or delayed? It’s a shame to go without your favourite outfit, but it’s worse to go without the medicines you need. You are allowed to take a reasonable amount of prescription and non-prescription medicines onboard flights leaving Australia. So make sure you pack enough medicines in your carry-on luggage to get you through the flight, including the possibility of delays. If you are facing a long haul flight, you might be concerned about medicines that you would normally keep in the refrigerator. But in many cases, storing your medicines at room temperature for the duration of your flight should not be a problem. Consumer Medicine Information (CMI) leaflets are available for prescription medicines and some over-the-counter medicines. The CMI will provide information about the storage of your medicine, which may include how long it can be stored out of the refrigerator. You can also ask a pharmacist for advice, including by calling the NPS MedicineWise Medicines Line. If you need to keep your prescription medicines cold during a flight, storage containers, ice packs or gel-filled heat packs are allowed for this purpose on flights leaving Australia. We hope the tips above will help send you (and your medicines) on your way. If you’re looking for more information, visit our page on travelling with medicines and medical devices. If you any questions, please contact us. How are vitamins regulated in Australia?